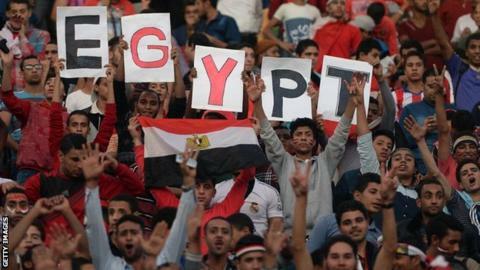 Egyptian fans are to be allowed to attend Premier League matches for the first time in almost three years. Supporters have been banned from domestic games since the Port Said tragedy on 1 February 2012 when rioting claimed the lives of more than 70 fans. "The interior ministry and the minister of youth and sports have agreed (to allow) the presence of spectators at Premier League matches," when the second round resumes, the Egyptian Football Association (EFA) said. The EFA revealed that 10,000 supporters will be allowed at games held in Cairo and Alexandria stadiums and 5,000 fans in smaller venues across the country. However, the ban will remain in place for matches involving any two of the six main clubs. Al Ahly, Zamalek, Al Ittihad, Ismaily, Al Masry and Damanhur will continue to play in empty stadiums when any of the sides play each other. Since the riot, which occurred at a match between Al Masry and Al Ahly, fans have only been allowed to attend national games and certain matches involving Egyptian teams in continental competitions.